Globe Pequot Press, 9781493034673, 248pp. Classically, deliciously New England. This essential cookbook for the New England table gives the seasoned host and the busy novice the ingredients they need to fill their plates and homes. 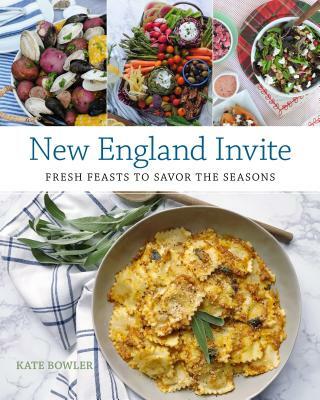 New England Invite is the complete package for creating a welcoming, beautiful, fun feast for all seasons. More than 70 seasonal recipes make for great gatherings all year round. Sidebars include local wine and beer pairing tips, guides to seasonal blooms, and super doable DIY projects to make any party pop, from a family clam bake to harvest-season pumpkin porch parties. Author Kate Bowler captures the spirit of New England cooking and presentation to get friends and family excited to celebrate and make life entertaining.